On Sunday, Dec. 5th, 2009, F.M.B.C. of Woodbridge voted to establish a mission point here in Woodbridge and. we voted to call Bro. Jose Pulido to be our missionary. There is a tremendous need for Spanish works throughout California. Traveling north from Bakersfield, to the Oregon state line, you will not encounter a single Spanish work. By the year 2020 the Census Bureau is saying that Latinos will be the majority people group in California! There are many who need to hear the truth before the Lord returns! There is a large Latino community in Woodbridge and the surrounding communities. Up until now we have been unable to reach these folks with the gospel because of the language and cultural barriers. As you can see, we have much work to do! This outreach is something that has been on our hearts for a long time, we just needed someone to come and help us. Now, God has sent us a man with a missionary heart- Bro. Jose Pulido! He is a graduate of Fresno Missionary Baptist Institute and is well-respected by his brethren in the area. 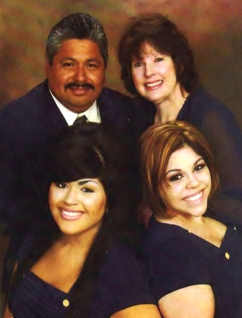 He, his wife Mia, and their daughters; Linda and Delores are faithful members of Galilee church in Fresno. They are actively involved in evangelism and discipleship. He has been mentored very well by his pastor, Bro. Doug Knox Bro. Jose and his family have already been a huge blessing to our church-his initial outreach with many in the immediate vicinity of our church met with very favorable results. Blessing to all the churches of Our Lord Jesus Christ. In the past few months, we have knocked on so many doors. We have met so many wonderful people, four of which have made a profession of faith in Jesus Christ. We are having Bible studies in two of their homes, and are hopeful that they will be baptized in the near future. We have had a few visitors that have shown interest in the mission as well as our sponsoring church next door. What a blessing it is to be able to share the Gospel in two languages. We average eight in Sunday School, eight in worship service, five in BTC, five in evening worship and five for the midweek service. 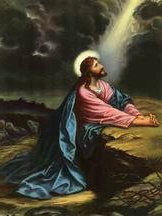 Prayer requests: Please keep all these people in your prayers for their spiritual needs, and also pray for us, that the Lord will continue to give us the wisdom to meet their spiritual needs as well.